In early 2017 BMI The Chaucer Hospital reached out to Kent Business School (KBS) in order to better understand staff and patient flows around the hospital. Now, the two Master’s in Business Analytics students who undertook the research have been back to present their findings, much to the delight of the hospital and its team. 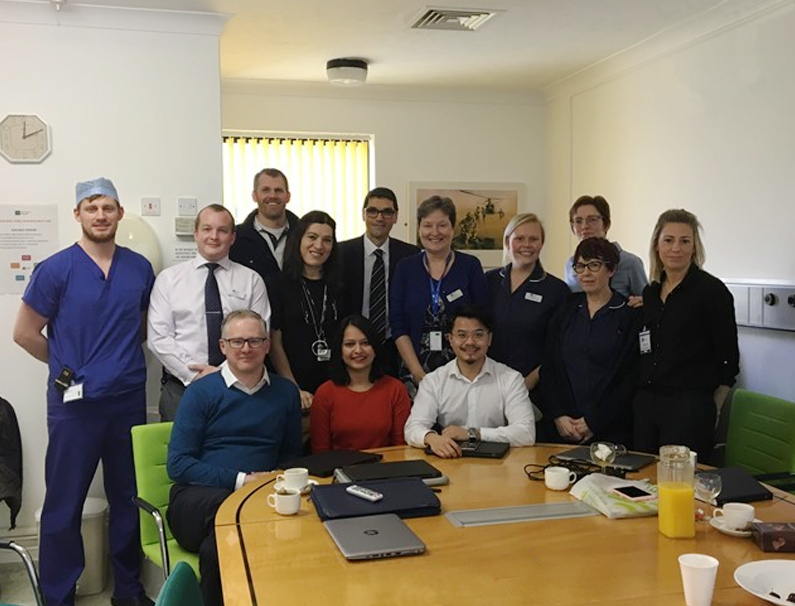 MSc Business Analytics students, Jinhao Xie and Sheema Noorian took up the opportunity to spend three months working closely with clinical and management staff within The Chaucer Hospital on what was, for the hospital, crucial work to improve efficiency and thus clinical care. This research, made possible thanks to the Student Implant scheme, would form the backbone of the students’ dissertations. For the full story of how the MSc Business Analytics programme and Student Implant Scheme have helped solve a real-world problem in the medical sector, head over to the Kent Business Matters blog.